Today’s townland is Tullygarvan, an area of farmland to the west of the village of Ballygowan, County Down. 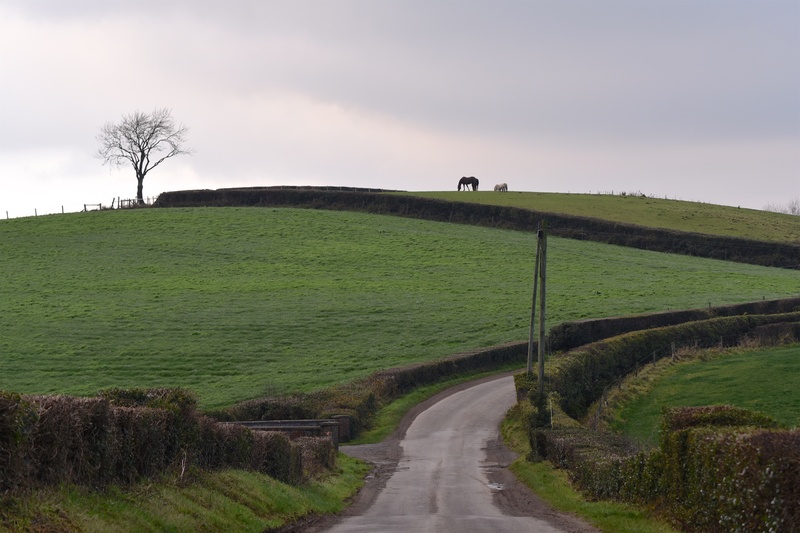 Two roads run through the townland: Springmount Road and Tullygarvan Road. As you can see from the next photo, the western end of Tullygarvan Road extends into another townland – Ballyknockan. 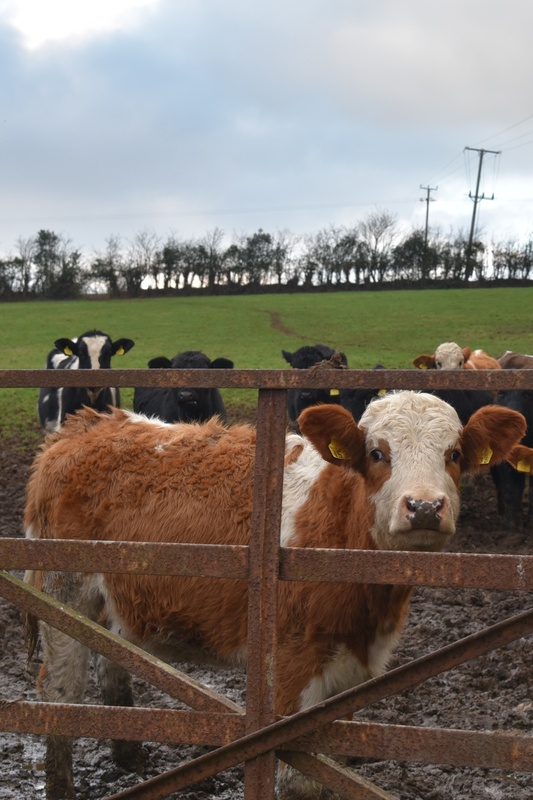 ‘Tully’ often comes up in the names of the townlands I visit for this blog. I’ve already been to Tullyboard, Tullycarnet, Tullycore, Tullynagardy, Tullynagee, Tullynakill and Tullyveery. These names all go back to the Irish Tulaigh meaning ‘hillock’, which isn’t surprising in a region full of drumlins. 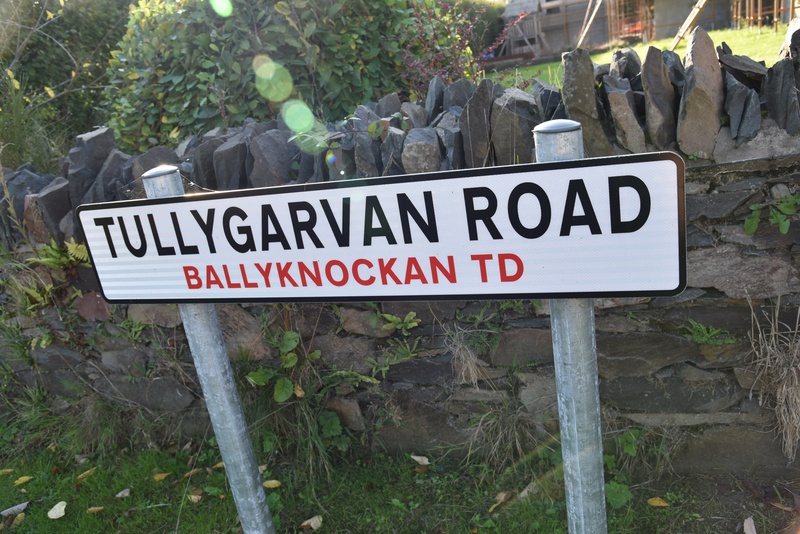 The ‘garvan’ part of Tullygarvan comes from the Irish garbh meaning ‘rough’, probably referring here to rough ground. So here’s a rough hillock, with two horses on the top. 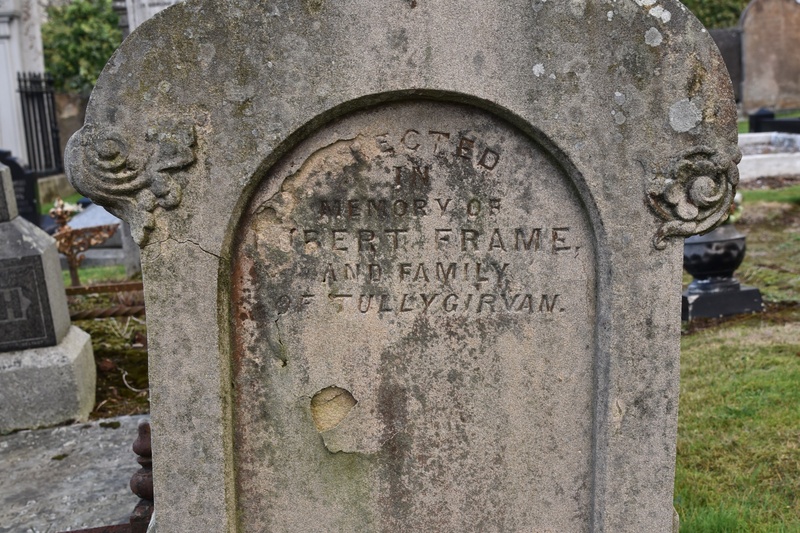 The townland name has varied over the years, sometimes spelled with “girv” instead of “garv”, as on this gravestone in Moneyreagh for the Frame family. Which townlands border Tullygarvan? To the north, Tullyhubbert. To the east, Ballygowan and Edenslate. To the south, Ravara and Ballycloghan. To the west, Ballyknockan and Monlough. Click here for a map of Tullygarvan on Townlands.IE.